We have baby bluebirds! 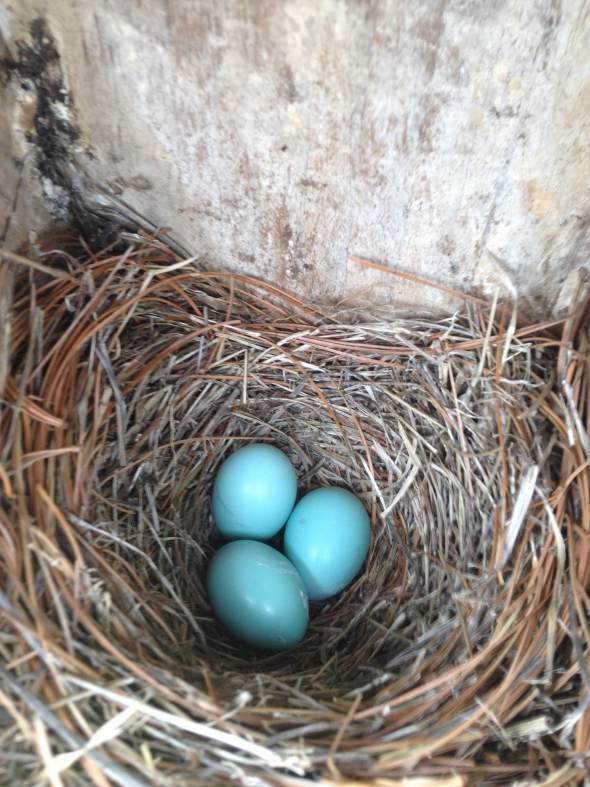 One of our five nesting boxes is occupied with a bluebird family. See the before & after below.